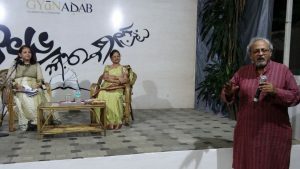 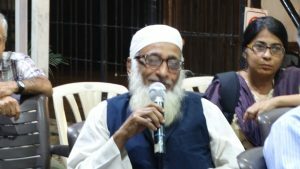 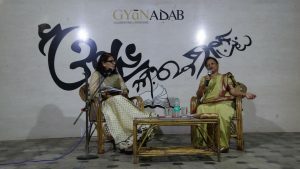 In another monthly edition of Guldasta-e-Urdu, Gyaan Adab was proud to host the launch of Andaaz-e-Bayaan Aur, the debut book of Dr. Mumtaz Peerbhoy. 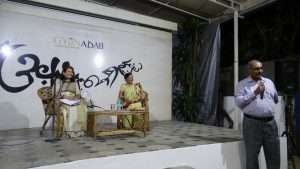 The book is a collection of poems which is a result of the author's labour of love for three decades. 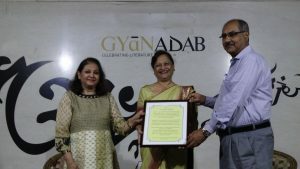 Gyaan Adab presented Dr. Peerbhoy with a citation honoring her for her contribution towards the popularization of literature and the Urdu language. 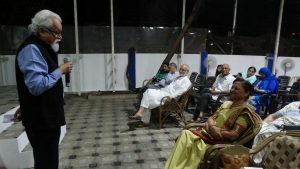 Dr. Peerbhoy was kind enough to translate phrases for audience members who did not understand Urdu.